Forney 42292 .035" ER70S-6 Mild Steel MIG Welding Wire, 2 lbs. ER 70S-6 mild steel MIG welding wire is a high strength mild steel MIG wire. 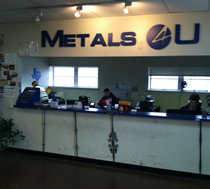 Ideal for auto body repair and fabrication on most ferrous metals. Contains a high level of manganese and silicon for a superior weld, even on rusty, dirty steel. Produces a smooth bead which requires less grinding. Not recommended for aluminum engines. Yellow color coding on label. Required Shielding Gas: Argon/CO2. Recommended Polarity: DCEP Reverse Polarity.